Recently I had the oportunity to pick the brains of the ownership and promotions staff of Farrell’s USA. Farrell’s as you will read is an intresting fun place to eat and celebrate. They are close to opening thier latest Inland Empire location in Rancho Cucamonga. 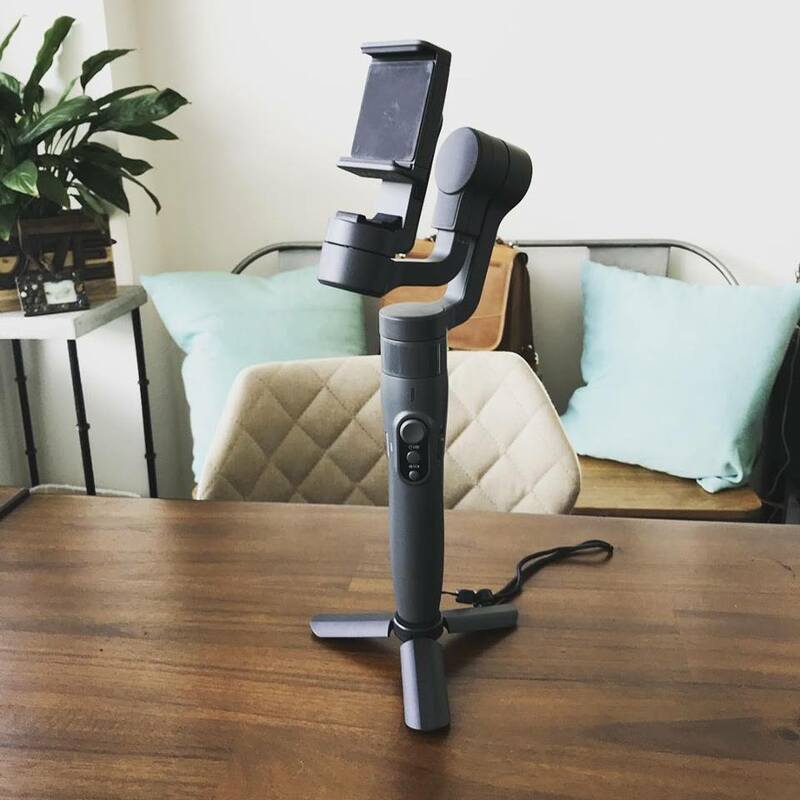 Knowing that this blog is geared more towards Rialto and the going ons here, people in Rialto are forced to take thier entertainment dollers outside the city for lack of things to do here. Fontana, Rancho & Redlands get most of my familys money and Im sure yours as well. So why not get a glimpse of this intresting resturant. 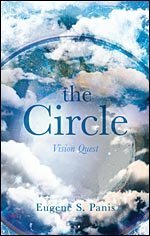 *Farrells has a storied past care to share, companies beginning to now? Farrell’s was started in Portland, Oregon in 1963. 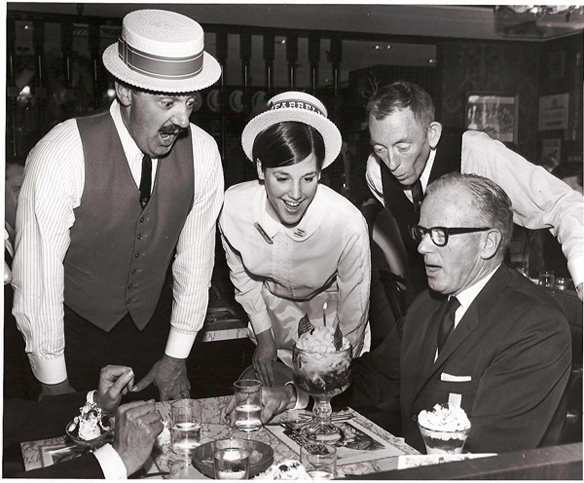 Bob Farrell opened the first Farrell’s Ice Cream Parlour after trying to find a place to take his wife for a banana split. He found that there was a need for such a place. The concept grew very fast. By franchising, Bob soon grew to almost 60 stores. 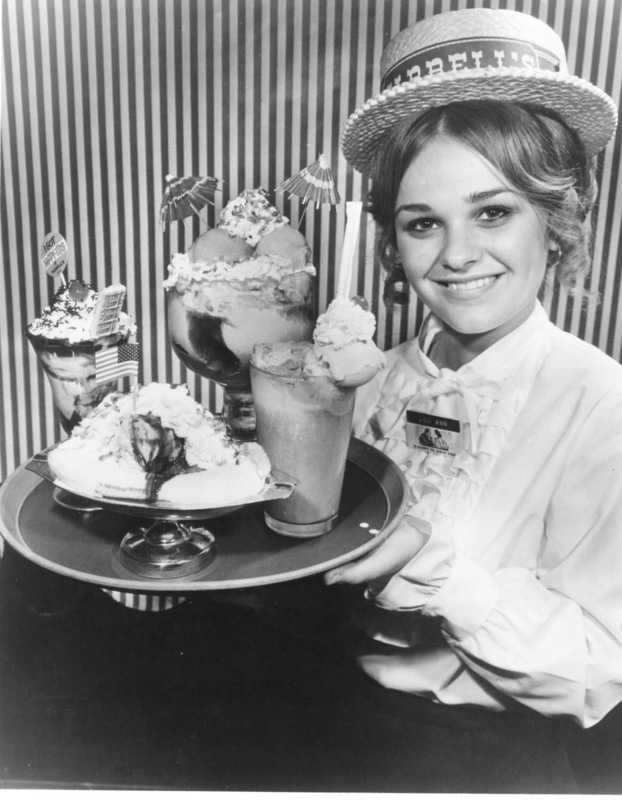 The Marriott Corporation purchased Farrell’s in the 70’s and under Bob’s direction grew to over 130 locations nationwide. In the 80’s Marriott sold their restaurant holdings to an investment group which made changes to the concept that put it into bankruptcy. 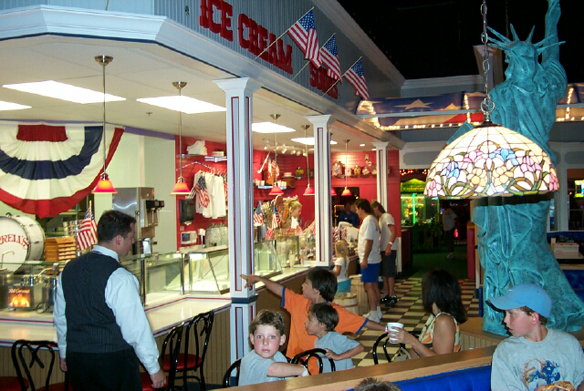 While the corporate restaurants closed all at once, the franchises operated successfully for 5 more years but eventually had to remove the trademarked “Farrell’s” name. Our company, Parlour Enterprises Inc which was started by my business partner, Paul Kramer and I, obtained the Farrell’s licenses and trademarks and plan to open Farrell’s locations across the U.S. and around the world. We have locations open in Santa Clarita and Mission Viejo and two more opening by the end of the year in Brea and Rancho Cucamonga. *First Inland Empire location, what were the driving factors behind this area, were any other considered? Paul and I are being very selective with our first locations and wanted to keep them in fairly close proximity. Rancho Cucamonga (IE) has been on our radar because the area is growing and fits our demographics perfectly. One of the original Farrell’s locations in Montclair was very successful. Having a city that works with developing business was important as well. The City of Rancho Cucamonga has been great to work with. *What are the struggles of owning a business in today’s economy, especially a restaurant in a city heavily saturated with a variety of restaurants? We are asked this quite a bit. Usually it’s more like, “Are you guys crazy? !” Actually, this is a great time to open a restaurant like Farrell’s. People are looking for a fun atmosphere, a good bargain, good food, and something unique. Farrell’s fits all of those needs. Think of other restaurants that are out there now and how many fall into all those categories? Now add the fact that Farrell’s is THE place to celebrate any life event (not just birthdays) and I think that puts us over the top. Operating a successful restaurant business today really isn’t much different than any other time. The ones that continue to provide great food, quality and service will survive in pretty much any economy. *What hurdles do you come against by having place like the HAT, Johnny Rockets, Cold stone, Pink Berry & BJ’s within the general vicinity of your Rancho Location? We think we will compliment all of them. It gives people more options and we are very different than any of them. *Is your Ice Cream made in house or purchased from a distributor? We use a proprietary blend made by Thrifty. We did an incredible sampling study and focus groups on many ice creams. Thrifty was by far the highest rated. While the ice cream is important, so is the quality of the toppings, and we have the best anywhere. KFI AM 640( http://www.kfiam640.com/pages/TimConwayJr.html ) where he remissness back to his childhood birthday parties at Farrells. Is Farrells a family place or more adult? Funny you mentioned that as I had called in to Tim’s show and when I mentioned Farrell’s, we talked “on air” for about 10 minutes. As you may remember, he mentioned his father the great comedian Tim Conway (of course Tim Jr is no slouch) would take him to Farrell’s in Woodland Hills as a special reward. 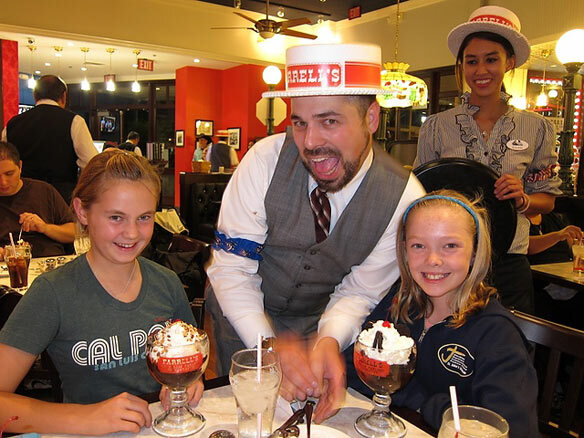 What we find is that Farrell’s appeals to every age group. Our youngest birthday party so far was to celebrate a child’s 7th “day” since birth. Our oldest is 104. We had concern that the teen market may not embrace Farrell’s as they did 30 years ago. In fact, the teen market is one of our biggest fan bases. You can see that by the hundreds of YouTube videos posted from their phones while visiting Farrell’s. *Job creation is one of the biggest struggles in the Inland Empire and we love having a company like Farrells opening up shop here in the Inland Empire, how is the hiring process going? How many jobs did/will Farrells bring to our local economy? Our final totals for applications for Rancho Cucamonga was over 1500. We are hiring close to 200 for the opening. We have some incredible IE talent that will be working with us. It was very hard to narrow the field down. *Does your business support any local charities or sports groups? 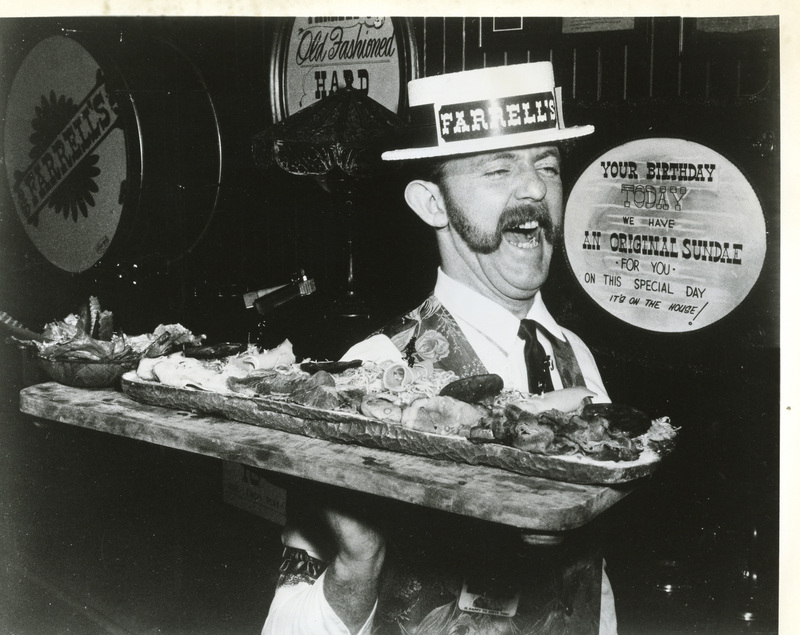 Farrell’s has always been about “giving back”. Bob Farrell, the founder, is one of our mentors and a minor partner. The one thing that we all believe in is the way he operated Farrell’s. People come first. We have several fundraisers already planned including the local IE Leukemia Lymphoma Society, and two fundraisers that support our military and their families and our big Ice Cream Challenge which benefits Make A Wish® and CHOC® (Children’s Hospital of Orange County). Our marketing firm, Studio Three Sixty has created many of our wonderful events for charities. Each year, Farrell’s also runs, “Valentines For Troops”. You will be seeing lots of charity events at Farrell’s. *Is there anything else you would like the Rialto Readers to know? Paul and I are very, very excited to bring Farrell’s back home to the IE! Farrell’s newest location, located at 10742 Foothill Blvd, Rancho Cucamonga, is scheduled to open this Fall and you can win VIP tickets to the grand opening party or other great Farrell’s prizes! All you need to do is sign up to receive Farrell’s free FUNatics Newsletter, check Rancho Cucamonga as your favorite location and, ta-dah, you’re entered. May I contact your corporate office re thermal paper and pos ribbons? I am looking forward to attempting to eat another TROUGH!!!! Hey, my favor-rite Thrifty Ice Cream is Medieval Madness! Take two…Hey, my favor-rite Thrifty Ice Cream is Medieval Madness!